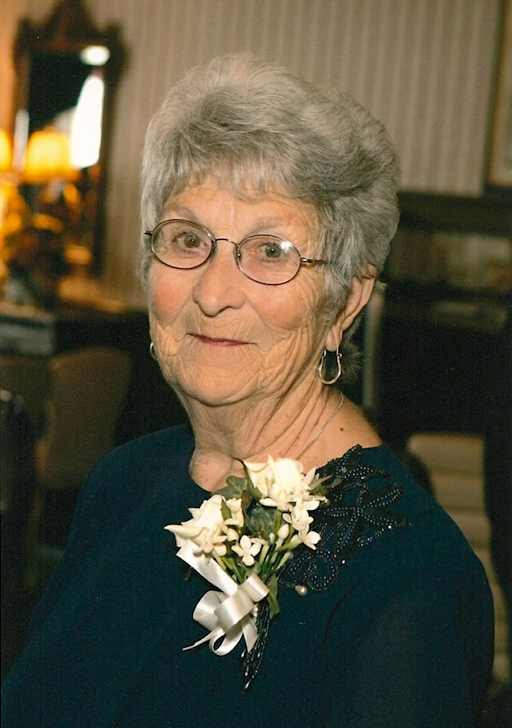 Hilda Marie Moquin, 94, passed away peacefully with her family at her side on Saturday, Nov. 3, 2018. Hilda was born Feb. 28, 1924, in North Elba, the first of four born to the late Milton Alexander Taylor and Bernice Caroline Lawrence. She was married Sept. 11, 1939, to Victor P. Moquin at St. Agnes Catholic Church in Lake Placid. Hilda earned a GED High School degree and in her thirst for knowledge enjoyed many college courses. She owned and operated Hilda’s Beauty Shop for years prior to expanding her salesmanship skills at Ruthie’s Run, Shehadi’s, and Eastern Mountain Sports. The loving matriarch of her family, she expressed her artistic ability in oil painting, gourds, sewing, quilting, crafting, knitting, loved opera, and to read mysteries. She lived in Lake Placid for 80 years, then followed her children to Arizona, and Whitesboro, NY, returning home this summer. Hilda is survived by five children: Linda (Thomas) Cosemento of Oro Valley, Arizona, Faith Thompson of Schuyler, Chris (Ida) Moquin of Malone, Francis (Amy) Moquin of Lake Placid and Lisa (Michael) Ames of Lake Placid; 11 grandchildren; 16 great-grandchildren; and three great-great-grandchildren. She was predeceased by her husband Victor (1986); two sisters: Gay Randall (2005) and Muriel Sessions (2008); one brother, Maurice Taylor (2008); and one son-in-law, Dennis Thompson (2016). A memorial mass will be celebrated in the spring at the convenience of the family. In lieu of flowers, please consider the Lake Placid Volunteer Ambulance Service. The M.B. Clark Inc. funeral home in Lake Placid, is in charge of arrangements.